A new non-profit organization has just been formed. It’s mission; to “support and promote Wind Cave National Park as a natural and cultural treasure.” The group, calling themselves the Friends of Wind Cave will act as an advocate for the park, reinforcing the bond between the park and local community. 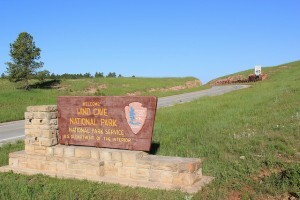 Although Wind Cave is one of the oldest National Parks in the United States, having been established in 1903, Friends of Wind Cave is first friends group it has had. Many national parks have friends groups, including neighboring Mt. Rushmore which has had a friends group for more than 60 years, according to Lon Sharp, spokesperson for Friends of Wind Cave. To kick things off, FWC has joined forces with the historic Hot Springs Theater to host a film festival this summer, presenting Ken Burns’ series “The National Parks: America’s Best Idea,”. The series begins on July 5th and continues throughout the summer. Anyone interested in becoming a friend of Wind Cave are welcome to join. Individual memberships are $20 and family memberships are $30.